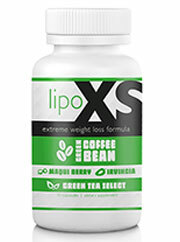 LipoXs Review (UPDATED 2019): Is It Safe? LipoXs Review: Is It Safe? Exhibited as a “weight loss system that makes sense”, they promise a dramatic decrease in weight with an additional inhibition of fat cell production. There are claims of it being useful for any and all people seeking to lose weight and retain mental clarity. Healthy diet and exercise are necessary for positive results to be shown. Many testimonials state they noticed a difference only after adding physical activity and dieting. The company Fit Solution Nutrition has a fleet of diet pills marketed for both women and men. They promise a top rated customer service on top of providing a set of supplements that are rated according to their website. There is no clear indication as to who is rating these supplements and no evidence of results is shown beyond 4 written testimonials and a stock photo of a woman’s before and after photo. The only website that sells their products is the manufacturers themselves. The combination of three energy stimulators intended for optimal exercised. An additional amount of appetite suppressants are meant to manage weight in direct line with a properly applied diet and exercise regimen. The only certified real customers have discussed it on internet forums with the common opinion being it is useless and results quickly fade even with diet and exercise. Within the user friendly website there are paragraphs describing the functionality of each of the ingredients as well as their role in supplement form. Many of the additives can be harsh stimulants and there is no reported dosage ratio listed. To find a diet pill with safer ingredients, help yourself to this top 10 list. Green Coffee Bean Extract: Unroasted or immature coffee beans used for their stimulating effects. GreenSelect Phytosome Green Tea: A patented version of green tea which is bred for its higher antioxidant content. Maqui Berry Extract: A berry sourced from a shrub native to Argentina and Chile. Although proclaimed as a fat loss tool, no evidence has been shown that it aids in weight loss. Irvingia: A tree native to West Africa similar to mango. Its high fiber has been known to lower cholesterol but no properly conducted studies have been reported. Caffeine Anhydrous: Caffeine in dehydrated form. A stimulant known for its metabolism boosting properties. CoEnzyme Q10: Prominent in every cell of the body, this vitamin like substance works as an antioxidant and energy production powerhouse. It can lower blood pressure as well. Long proclaimed as a fat loss tool yet no evidence leads to this being accurate. Potential Side Effects: Hyperactivity, anxiety, nausea, irritability, insomnia, rashes, irregular heartbeat, trouble breathing, mood swings and constipation. Comes with a 90 day guarantee and quick shipping. Nowhere is the stated amount of each ingredient listed. This can be potentially problematic since there is a high number of caffeine and stimulating effects in each ingredient. To combine the caffeine content in a gym setting has been known to cause a significant increase of heart related problems and the dehydration associated with caffeine can also cause a number of problems to those that exercise. Without evidence of a trial study and only a few testimonials there is no evidence to go on to support this companies claims either. Many of the claims even from their own website show that diet and exercise are vital in order to experience any positive effects. This supplement has been shown to be completely ineffective by the only sources not affiliated with the website. Nowhere is there a declaration of what is inside these bottles. There is the concern of taking an excess of these stimulants and having potentially negative effects. Also with shipping and handling this 30 day supply will cost $54.85, a steep cost for something without any indication of its contents strength. There is no way of verifying as to what exactly is the dosage listing inside. You should be able to make a decision based on facts. To take a blind stab at ingesting a blind amount of stimulants can lead to an array of problems. There are safe alternatives out there that are actually useful in existence. You can provide yourself with a real clear choice with no hidden stimulants. 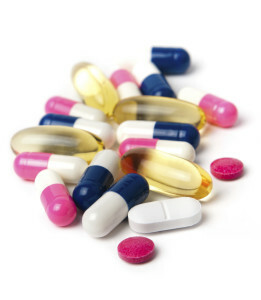 Make the right decision for your benefit and look at other diet pills that are better and more suited for your needs.